How long will a groom or hydrobath take? For a full groom it will take between 45 mins – 1 /12 hours depending on the condition of the coat. A hydrobath will take between 10 – 20 minutes. As long as we have access to power and your puppy, there is no need for you to be home when we visit. How often do I need to wash or groom my dog? 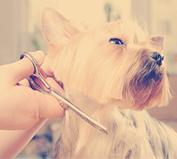 Regular grooming is an important part of your dog’s care and maintenance. Every dog is different however most dogs will need a bath at least every 2 – 4 weeks and grooming every 6 – 8 weeks. Pet sitting is where we visit and care for your pets in your own home. You can choose the number of visits per day you require. Each visit can include feeding, cleaning, security checks, mail & plenty of play, love & attention time! 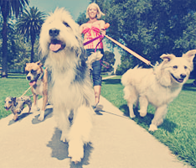 We arrange an initial free interview for you and your pets to meet your pet sitter. Yes. For the protection of your own pet and other animals in our care, we require all dogs and cats to have a vaccination certicate. 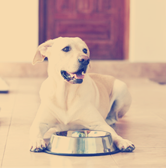 How will I know if my pet is going well while I am away? As pet owners we understand the importance of knowing how our pets are coping in our absence. Regular text messages or emails will be sent during the stay to update you on your pet’s wellbeing. We are also more than happy for you to contact us as many times as you need to feel at ease knowing your pets are being well cared for.